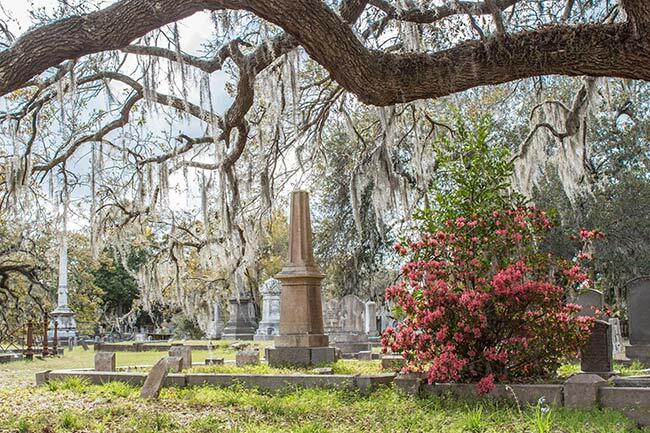 Historic Magnolia Cemetery rests on the banks of the Cooper River in northern peninsular Charleston. 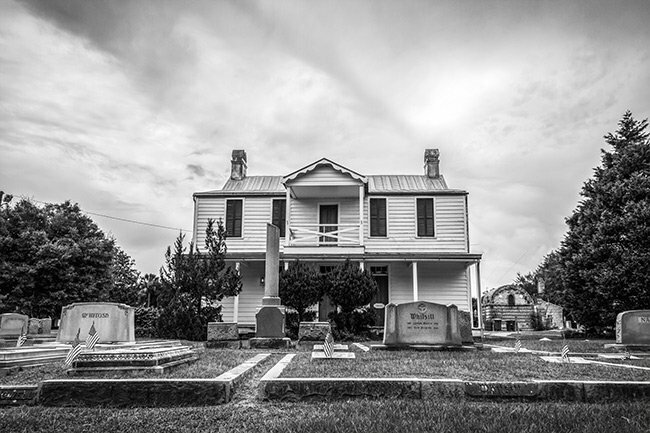 Established in 1850, the storied burial site occupies 92 acres of a former rice plantation, Magnolia Umbra. The former plantation home, which dates to 1805, now serves as the superintendent’s office (pictured below). The site’s design follows a mid-nineteenth century trend towards rural cemeteries. 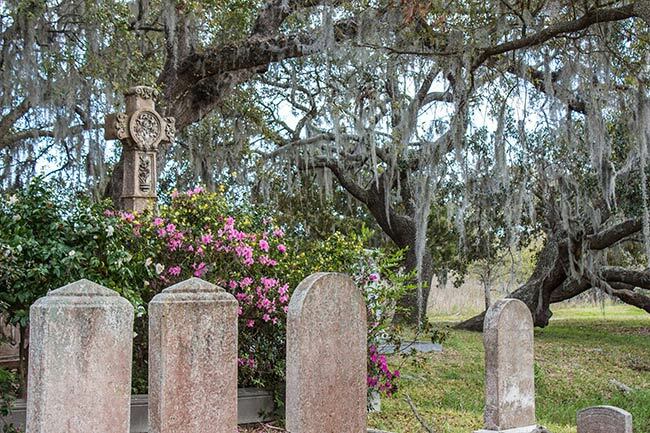 A yellow fever outbreak gripped Charleston in the 1850s, creating an even greater need for public cemeteries such as this one. 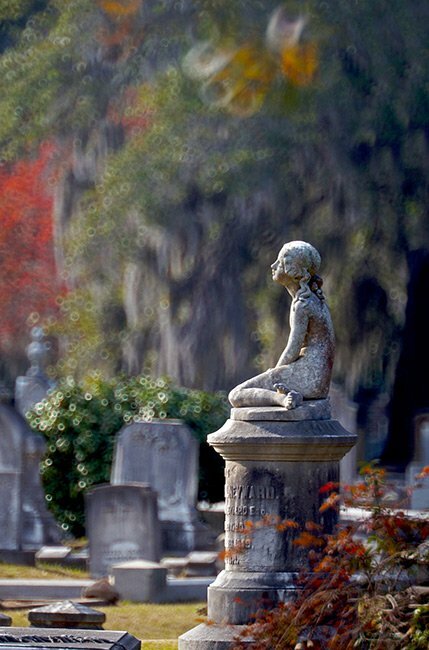 Over the past 170 years, Magnolia Cemetery has evolved into a museum of sorts. It was laid out by noted architect Edward C. Jones, who also designed the United States Custom House on East Bay Street, among other popular buildings throughout Charleston and South Carolina. 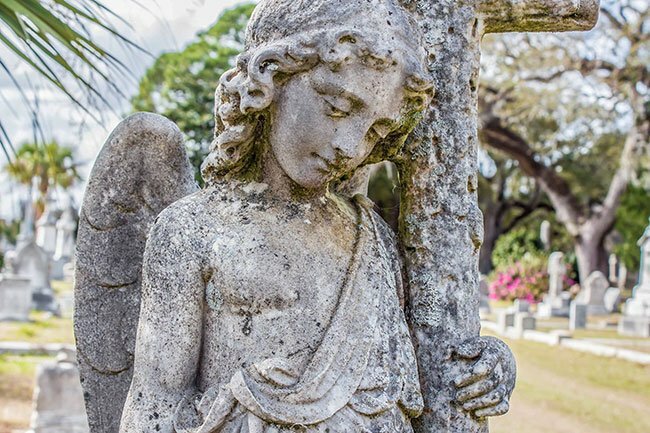 The funerary art seen at Magnolia Cemetery is considered among the most beautiful in the United States. 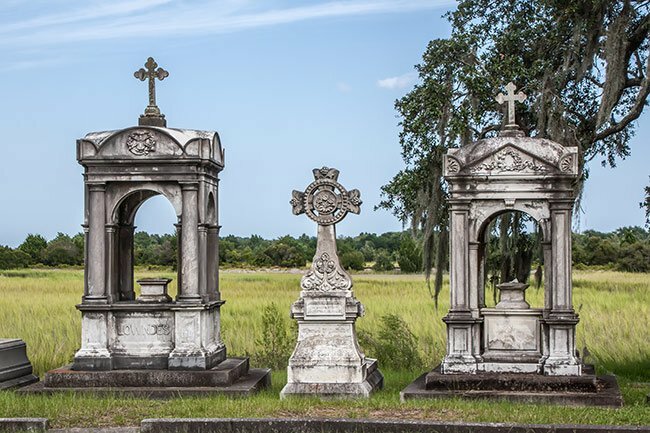 Mausoleums, memorials, headstones, and statuary adorn the landscape and tell stories of the deceased while reflecting on spirituality. 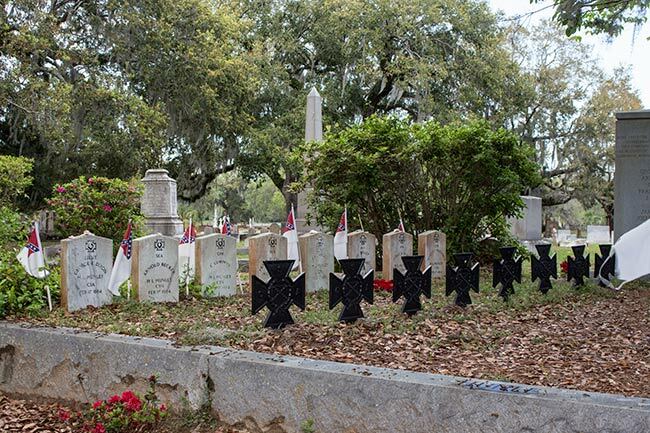 A special section of Magnolia, located near the old plantation house, is reserved for Confederate soldiers killed during the Civil War. Of particular note, Magnolia holds the remains of the third and final crew of the H.L. Hunley. On the night of February 17, 1864, the Hunley made history by becoming the first submarine to successfully attack and sink an enemy ship, the USS Housatonic. Everyone aboard both ships perished. The crew’s remains were recovered, along with the Hunley itself, on August 8, 2000. 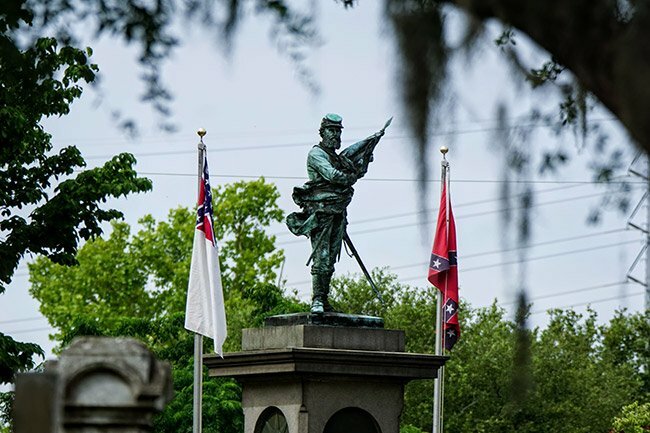 The remains were laid to rest in Magnolia Cemetery on April 17, 2004, following a service at the Battery and a procession to the grave sites. The crew was comprised of Lieutenant George E. Dixon (Commander), Frank Collins, Joseph F. Ridgaway, James A. Wicks, Arnold Becker, Corporal C. F. Carlsen, C. Lumpkin, and Augustus Miller. 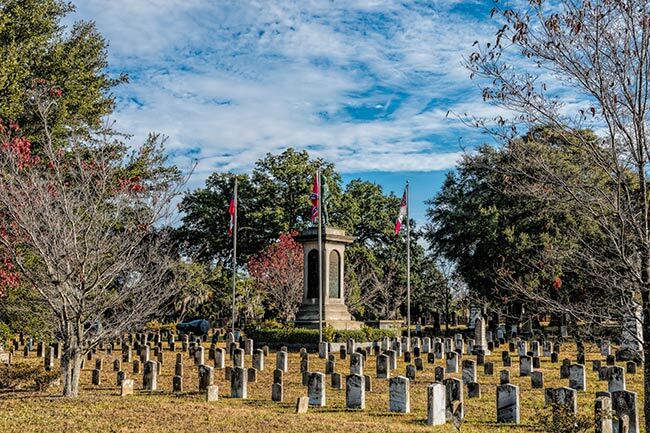 The grounds also serve as the final resting place of many prominent South Carolinians, including several former governors. 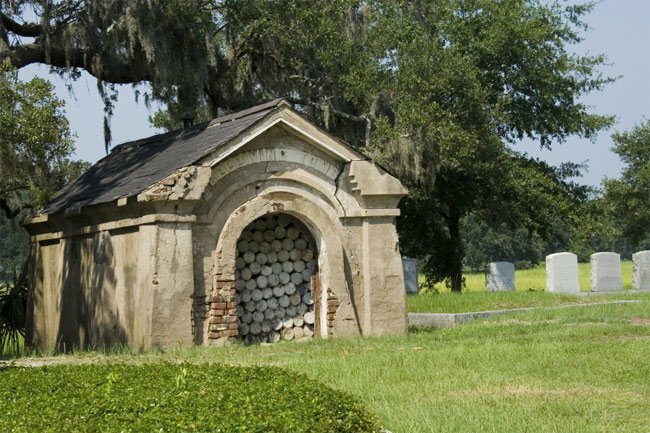 The receiving tomb at Magnolia Cemetery, shown below, housed the newly deceased while his or her grave was prepared. The masonry vault – which features thick, windowless walls – was designed to keep bodies cool during a time when modern embalming techniques had not yet been adopted. Most bodies were stored for only a few days, but some bodies were preserved here for longer periods. Records show that at least one person, William Burroughs Smith, remained in the receiving tomb for 30 months. The vault can store as many as four bodies at once, and it was not uncommon for the departed to be kept inside for a year or more. The families of the deceased were charged $25 per month for rent. 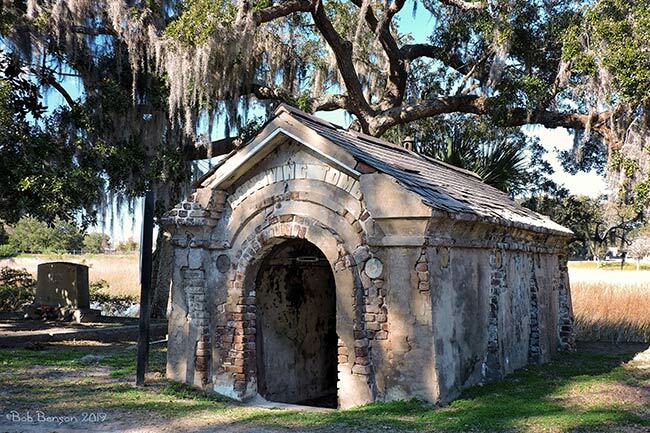 In 2011, the receiving tomb at Magnolia was listed as one of the Preservation Society of Charleston’s first Seven to Save. The list, which the organization uses to coalesce “intellectual and financial resources” to help save local landmarks, is updated each time a landmark is restored. 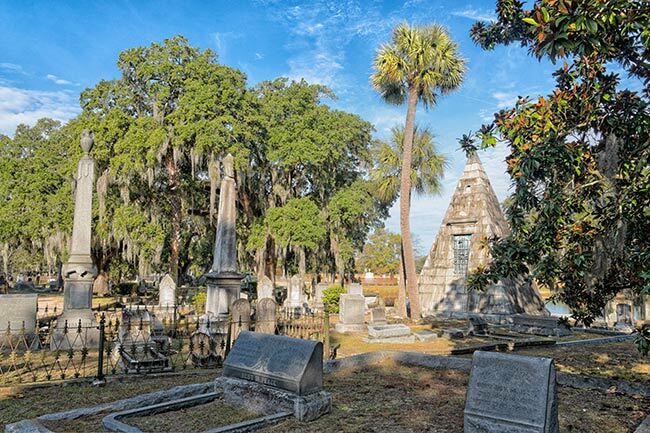 The tomb won a $118,000 grant and has since been stabilized, but the entire cemetery was added to the Preservation Society’s list in 2014. 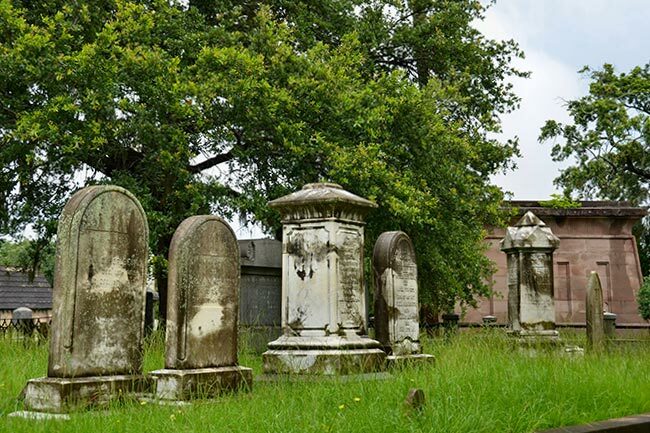 The Charleston Cemeteries Historic District is located on land formerly belonging to the Magnolia-Umbra plantation adjacent to Magnolia Cemetery. 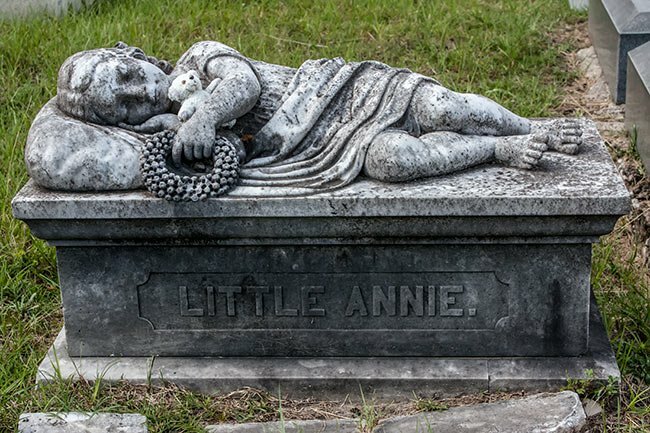 Considered an outstanding example of the Rural Cemetery Movement of the mid-nineteenth century, the District comprises a uniquely diverse collection of 22 contributing cemeteries of different religions as well as African–American mutual-aid burial societies. The societies were founded to provide insurance against the financial cost of burying loved ones and to provide care for widows and orphans. 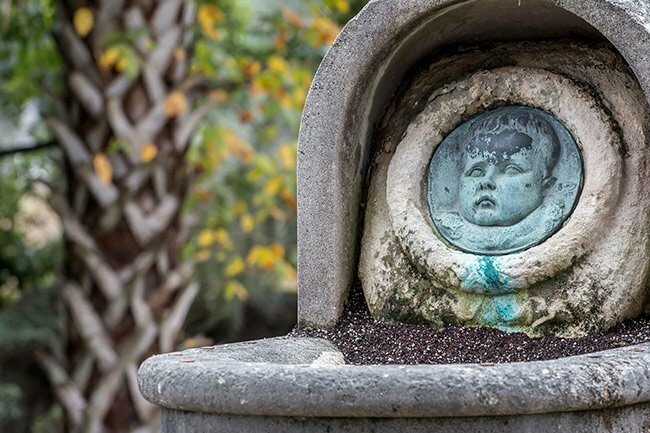 Many infants are interred in the hallowed grounds of Magnolia. In the days before vaccinations and emergency medical treatments, children often did not make it to adulthood. 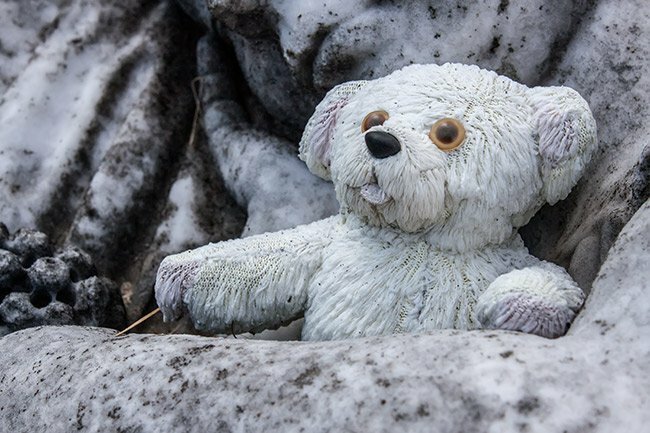 Visitors looking at their graves today will find trinkets, flowers, and other mementos. Even today, they are looked after and loved. 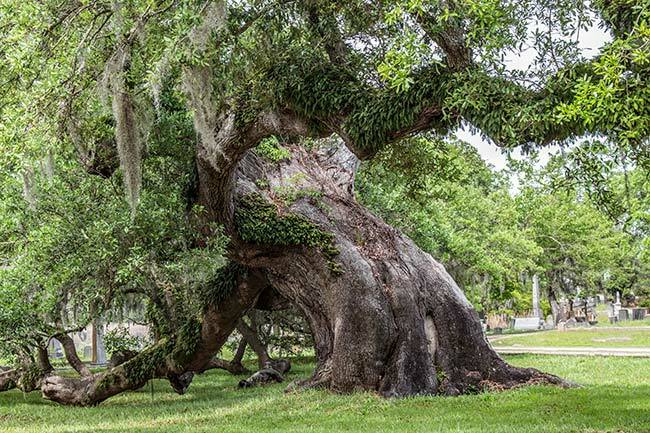 Affectionally known as “Grandfather Oak” by the staff of the cemetery, this live oak tree located near the office of the property is said to be over 800 years old. Standing over 60 feet tall, with a circumference of 25 feet and, a bough spread of 117 feet, this is without a doubt one of the grandest relics on the premises. The grave of Rosalie Raymond White is perhaps one of the most well known graves in the cemetery. 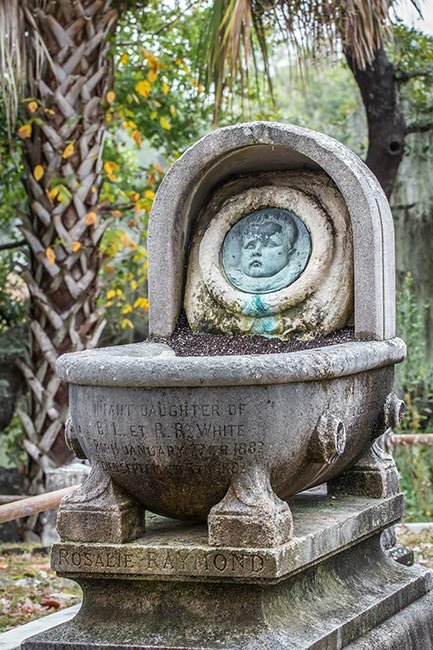 Rosalie was born in Charleston on January 27, 1882 and died seven months later on September 5. She was the daughter of Blake and Rosalie White, of their three daughters named Rose, two died in infancy. The grave is fashioned after a cradle, or bassinet, and adorned with a death mask. A death mask is a cast of a person’s face following death, usually made by placing plaster directly on the face of the corpse. These molds were used for the creation of portraits and keepsakes to remember loved ones before photographs were commonplace. The death mask was common from the Middle Ages until the 19th century. 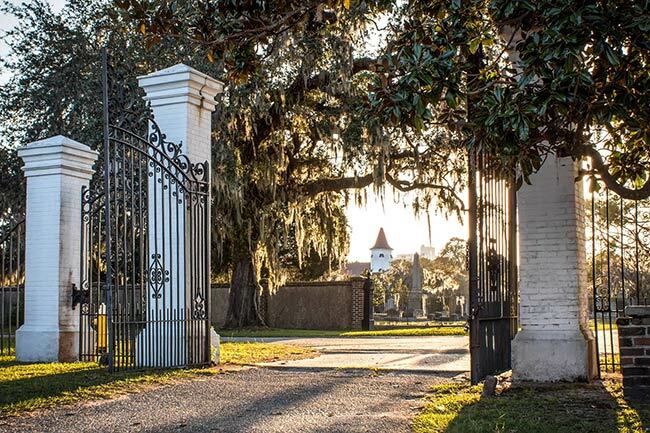 The stately gates at Magnolia Cemetery close just as the sun begins to set in the evening. The neighboring chapel of Bethany Cemetery can be seen as you exit the gates onto Cunnington Avenue. 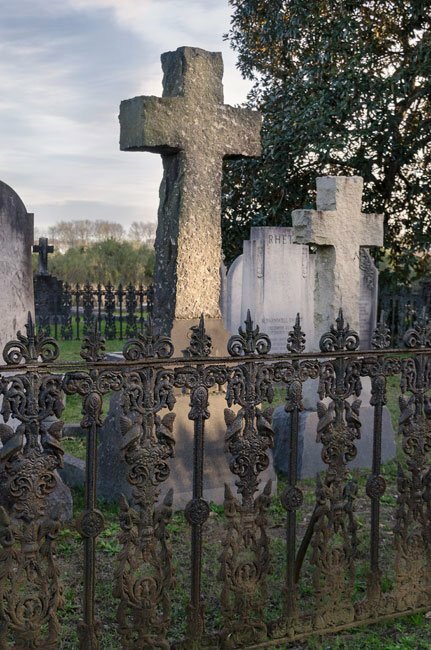 Learn more about famous people buried in Magnolia Cemetery. 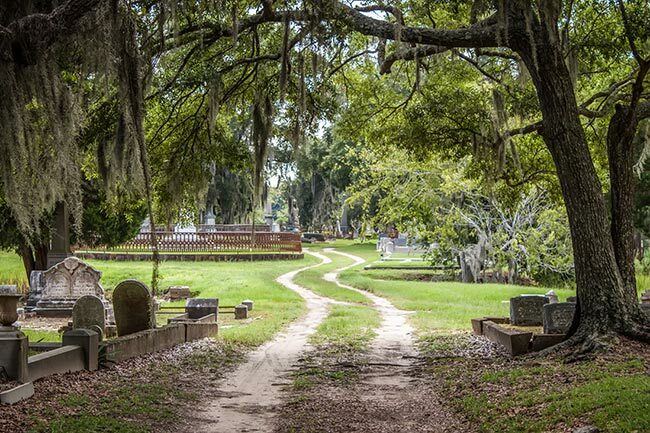 Magnolia Cemetery, a large public cemetery, covers approximately 92 acres and contains the graves of numerous prominent South Carolinians. 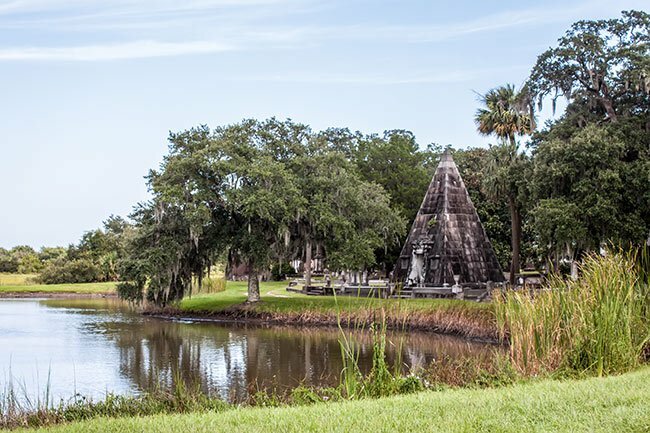 Established in 1850, Magnolia is extensively landscaped with winding drives and paths interspersed with small ponds and a lake, and contains excellent examples of late 19th century cemetery architecture and sculpture. The original design included a chapel, formal garden, keeper’s house, and receiving room. Of the original cemetery structures, the Receiving Tomb remains, plus a ca. 1805 structure (now the superintendent’s office), three 1890s structures, five mausoleums, and many impressive examples of cemetery art and architecture. Also remaining are excellent examples of iron work, of the late 19th century and remnants of the original landscape patterns. Magnolia enjoyed prominence during the mid and late 19th century, a time when it was also a popular spot for picnicking during the Victorian era. The cemetery is an excellent reflection of the arts, tastes, and social mores of the 19th century. Hello Travis, we are not directly affiliated with Magnolia so do not have further information about the cemetery or where plots may be if you were seeking that sort of information. If you were, we would recommend reaching out to them directly, their phone number is (843)-722-8638. Thanks so much and hope this helps you, best of luck! I am researching a William H. Holmes who is a distant relative to an Elizabeth Holmes Farr who through DNA has a match to me. I also have a brother, Donald G.May who is buried at Magnolia, next to his wife’s first husband. I think the pictures are awesome. I am interested in knowing who Joan Perry was. Will you tell me? Who is Lila Heyward? My Great great Grandfather Soloman Jacob Rothrock is buried there. He died during the Civil War. He was born 2-12-1834 and died in 1864 in a hospital there of yellow fever. If you have any information on him could you let me know. I wish we had the resources to help you! Best of luck in your search. 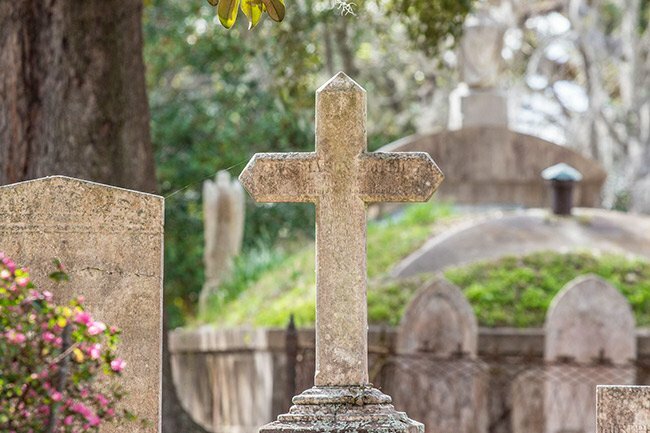 Can you tell me how I would find where a person has their burial plot, and which cemetery? 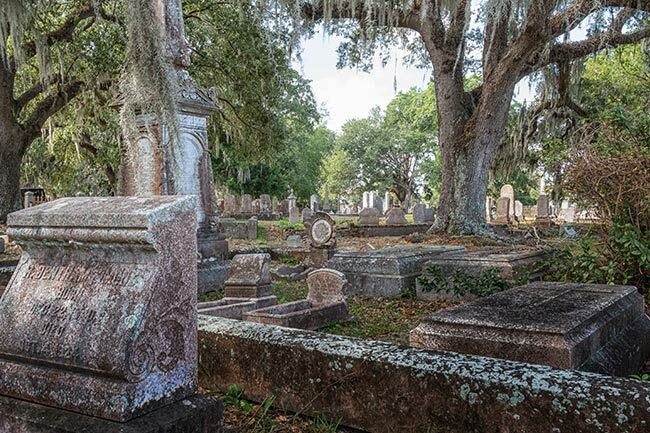 I have a friend that lived in Georgia and he said he had a cemetery plot paid in full on Johns Island, South Carolina, and he has now passed. I can’t reach any of his kin? Can you help me? Individual information about deceased South Carolinians can often be paired up with the companion memorial on FindAGrave.com. Died at Charleston, So. Ca. Thanks so much for your work on this site. 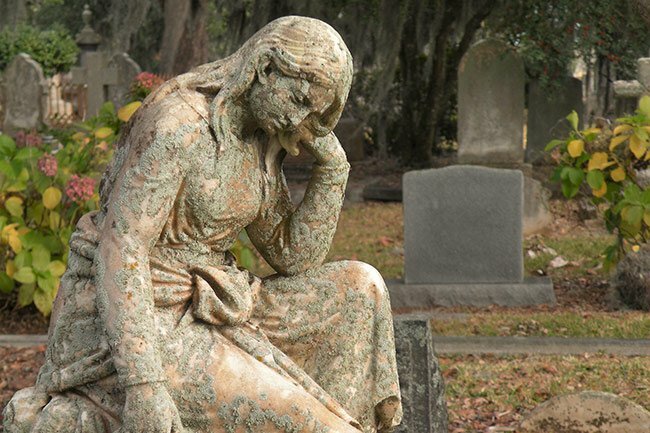 Is there a list of those buried in this cemetery? I’m hoping to locate my great grandamother who is reportedly buried there. Her name was Sybil Amelia Gurley and she possibly married a man by the last name of Bicaise before she died. Any ideas how to find her grave? I was looking for Capt Thomas Paine, Sr who was a harbor master in Charleston. He died 1828 and was buried in cemetery of Second Presbyterian Church at 342 Meeting Street in Charleston. Captain Thomas Paine was buried with sons Stephen Paine, who died in 1811, and Joseph Bridgham Paine, who died in 1827. 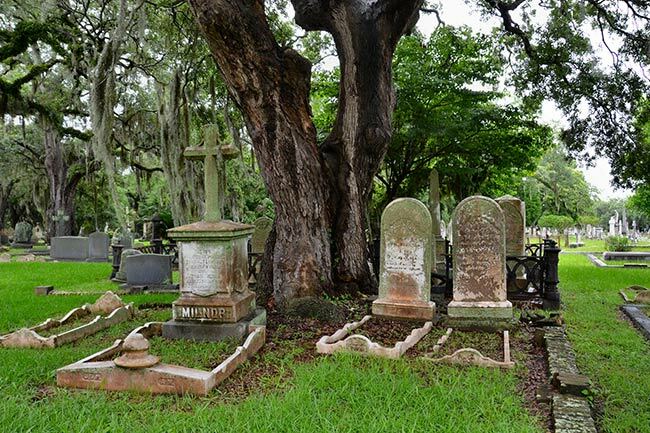 They are all three buried in the cemetery at Second Presbyterian Church, Charleston, Lot 72, Square 3, Stone # 8. Was it customary to be buried stacked on top of each casket? I also am trying to find Nathaniel Russell Paine’s grave in Magnolia Cemetery. He was buried about 1863-1865. William Burrows Smith, was an industrious man, leaving school at the age of 15 to seek his fortune in the cotton factorage business (a sort of business agent for the cotton planters to use to sell their cotton harvests to the various milling interests.) The pyramid was erected by his family after his death, and his remains entombed. His crypt is behind the marble panel at the center back wall, under the stain glass window. 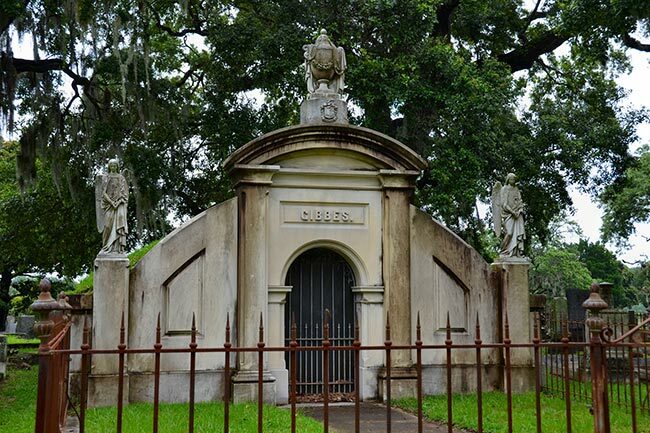 His wife Frances Susan Jones Smith is entombed directly under his crypt. To the left of the door, are three kin: Daughter Helen Smith Whaley (wife of William Baynard Whaley, Jr), Her son, Rep Richard Smith Whaley, who also was appointed by the president to the bench as a Federal Judge, and Lillian Heyward Nylander, a daughter of Frances ‘Fannie’ Smith Heyward (Helen’s older sister). To the right of the front door, is another of Helen’s sons and daughter-in-law. Dr Thomas Prioleau Whaley and his wife Henrietta, and on the bottom right, Heyward Champion, who died young, was a manager at Worthington Arms Co. He was the grandson of Fannie Smith Heyward, and the brother to the famous naval aviator, Carleton Cole Champion, Jr. All these names are documented and have memorials on the web at Find A Grave. They are a fascinating and very accomplished family. 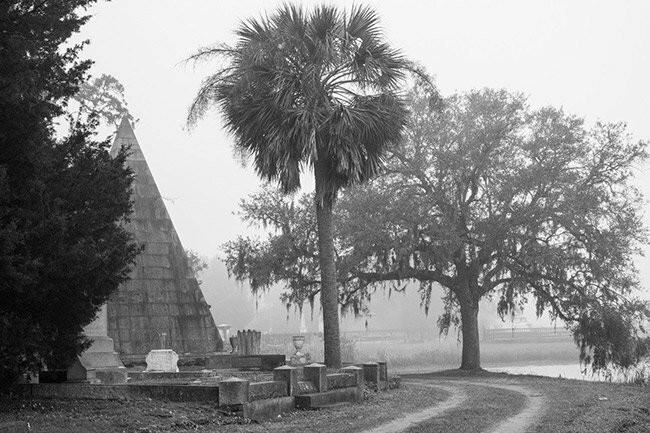 The pyramid mausoleum is featured on Ted Phillip’s book about Magnolia, ‘City of the Silent’. 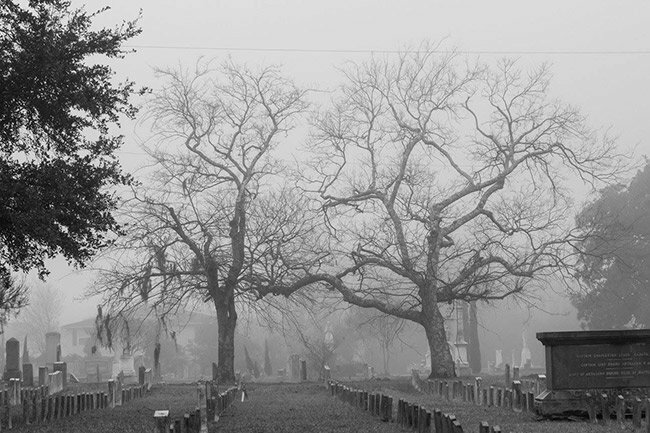 Spent a very scary Halloween night walking thru Magnolia cemetary with friends back in the teenage years. Beautiful cemetary and several family friends and family members are buried there. My great grandparents are buried here. Spent many peaceful hours visiting those who had given their lives for what they believed to be right. I will always cherish those memories. Hello! It is such a beautiful cemetery. We weren’t able to uncover very much information about the pyramid online, but we do know that it is called the “Wm. Smith Pyramid” and that there are very few of these pyramid-styled mausoleums in our country. Apparently, they were created for wealthy tycoons who wanted to be remembered for as long as the ancient Egyptian pharaohs! Here is a picture of the pyramid, and we hope this helps!